We invited Mark and producer Denzil Monk (who worked with Mark on Happy Christmas) to tell us more about the film and the unique production process behind it. Bronco’s House is about a young couple’s quest, and in particular the proud Bronco, striving to fulfil his sense of responsibility to provide a place to live, a home for him and his pregnant girlfriend to start their family. To find a home in their own community is a tall order, affordable property is rare, being as it is a picturesque harbour village at the far western tip of Cornwall. With a growing sense of urgency over the term of the pregnancy, the story unfolds through the actions of six characters, Bronco, the Girlfriend, the Landlord, the Sister, the Farmer and… the Stranger. All involved, one way or another in the housing market these characters jostle and cajole to secure their place on the ladder. But the eye of the camera doesn’t judge, just observes, as their oppositional positions – each understandable in its own terms – cascade towards an incontrovertible moment that takes its toll on all of them in different ways. 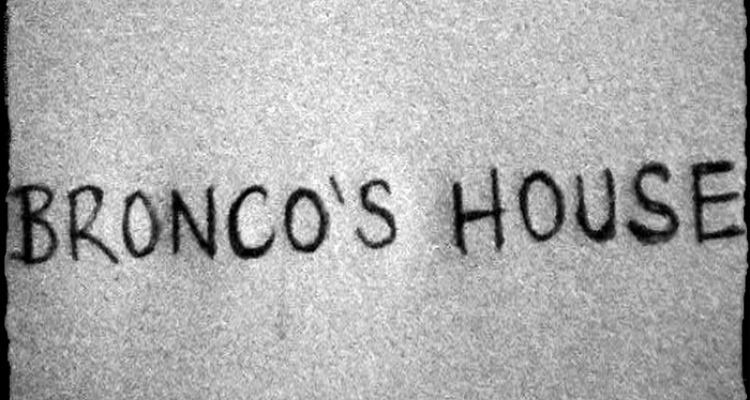 Bronco’s House will be a 16mm experimental narrative and the first long-form exploration working within the self-defined, published rule book SLDG13. The first film made according to the strict rules of the manifesto was Cape Cornwall Calling / all the white horses and screened in competition a couple of months ago at the 15th Festival des Cinémas Différents et Expérimentaux de Paris. The idea of Bronco’s House grew out of a desire to return to a ‘real’, tactile medium rather than the virtual world of digital filmmaking. 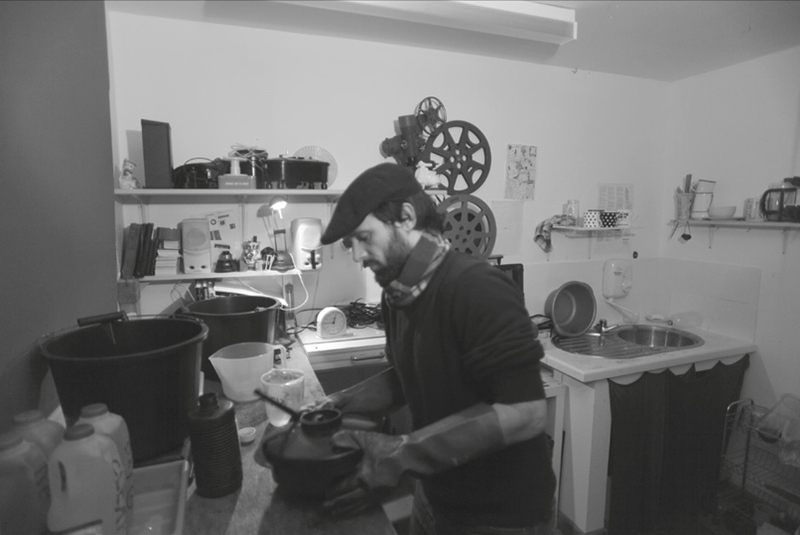 This is true handmade filmmaking, shooting on timeless black and white 16mm, on clockwork cameras, and hand-processing the neg in antique bakelite tanks with experimental chemistry using ancient techniques in a cutting edge manner where form mirrors content. This approach, the fragmented form, illustrates the breakdown of Bronco’s expected traditional social structure, scrutinising this particular community’s perseverance against the inexorable gentrification of what was until a generation ago a traditional fishing community. Throughout the 30 day campaign we have been posting and sharing frequent video updates, where Mark articulates his approach to this project, exploring the inspiration and execution of the story through the 6 characters, the pertinent theme of housing and the meaning of home – and the experimental form and processes that this unique project inspires. There are only a few days of the campaign remaining, so if you want to get hold of unique and beautiful rewards, or just support this independent film experiment, please pledge your support and share the campaign page with your friends before midnight Sun 8th December, thank you.